How to View iTunes Backup Files on Windows/Mac? Fixed! There are lots of reasons that you want to access and view your iTunes backup, but you have no idea where it is, just like Jimmy. Now you don't have to worry about it. In this article, we're going to show you the top and free ways to view iTunes backup files on Windows and Mac computer easily. Here we go. When you synced iPhone to iTunes, it will automatically generate a backup and save it on the local folder of your computer. It will be hard to access or view your iTunes backup file if you don't know the location of iPhone backup. 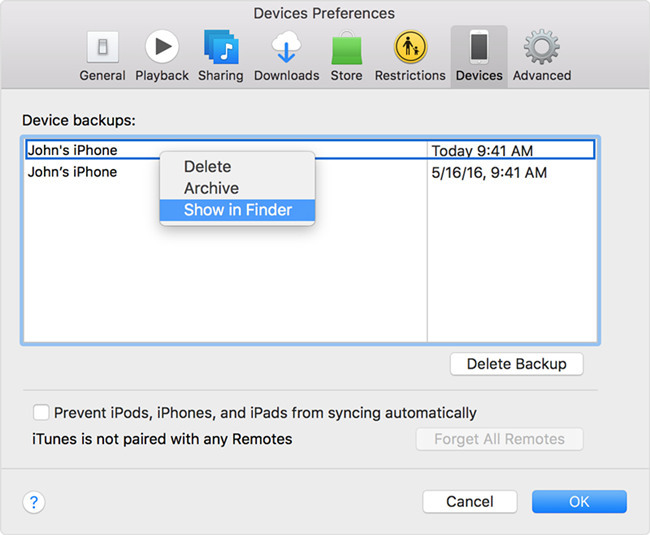 If you'd like to locate a specific backup, you can open iTunes, and click iTunes in the menu bar, then go to "Preference" > "Devices" and then control click the backup you need and select "Show in Finder". That's it. After finding the iTunes backup location, you may find that all these backup contents cannot be access directly. So if you want to view iTunes backup files, you need a professional iTunes backup extractor to help you, like Joyoshare iPhone Data Recovery. With Joyoshare, you can not only find your iTunes backup location on the computer, but also access to them easily. 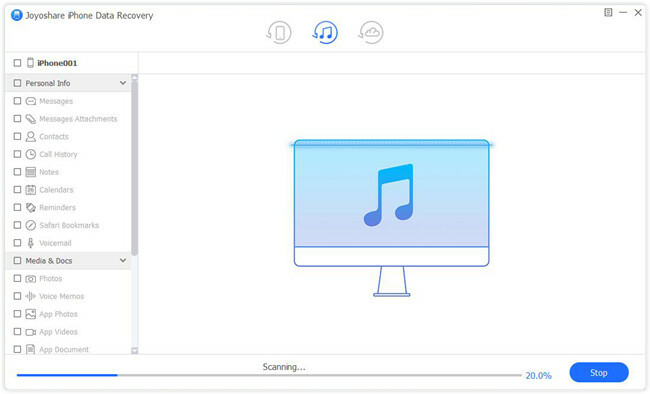 This iTunes backup extractor can help you analyze and view every iTunes backup directory such as photos, videos, contacts, call history, calendars, notes, WhatsApp/Kik/Viber messages and attachments and more. 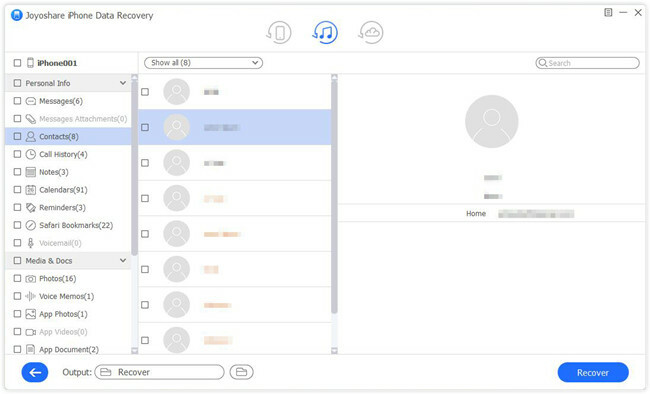 Joyoshare iPhone Data Recovery can not only help you find your iTunes backup on Windows or Mac, but also gives you access to view the detailed files in iTunes backup. Now let's see how to find and view iTunes backup files with Joyoshare iTunes Backup Extractor. First of all, please make sure you have downloaded Joyoshare iPhone Data Recovery and installed it on your PC or Mac. After that, open it and select the "Recover from iTunes" option on the top menu bar. All your iTunes backup files will be detected and listed here. Now you can find iTunes backup location on Windows or Mac by clicking the blue Search icon on the right side. Or, if you'd like to access them, you can first click the Gear icon to choose the data types you want and then click the "Scan" button to let Joyoshare start to extract data from selected iTunes backup file. Wait a while until the scanning process completes. And all iTunes backup data are displayed orderly in categories on the sidebar. You can view them one by one as you like. 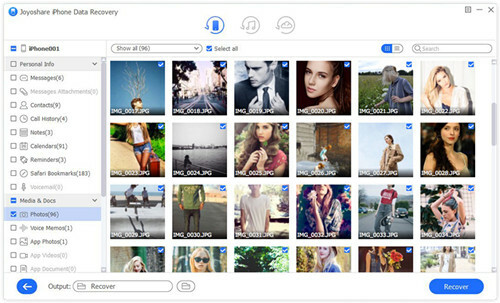 Now you know how to view iPhone backup files on PC/Mac, and viewing iTunes backup files on Mac or PC has never been so easy with Joyoshare. Note: Joyoshare iTunes Backup Extractor has both free trial version and paid version. The free version allows you to extract and view your iTunes backup (or iCloud backup and iPhone directly) easily and freely. 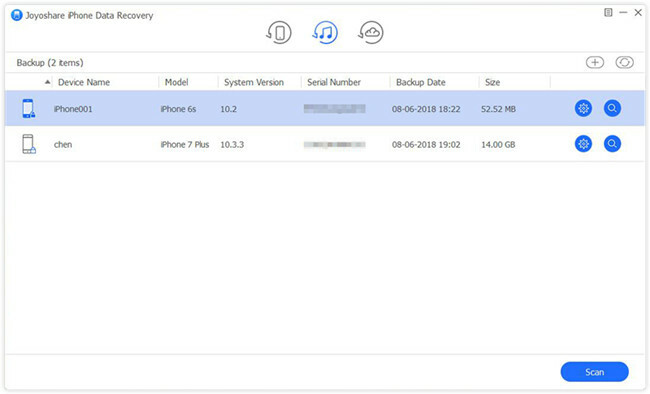 But if you want to recover lost iPhone data from iTunes backup and export them to the computer, you have to go for the full version.